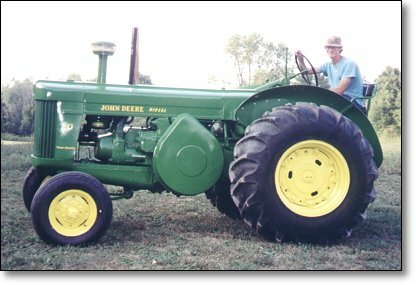 This Model 80 belongs to Brandon Knapp. The rear tires are smaller than the stock size, but Brandon wanted to show it to you anyway so you could see the shape of the flywheel cover. 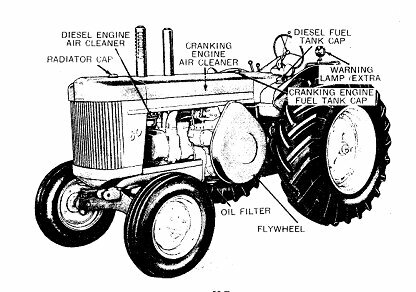 The Model 80 is basically the same tractor as the previous Model, the Model R. The best way to tell them apart is, the Model R has a ROUND flywheel cover and the 80 has a TEARDROP shaped flywheel cover like the 820 and the 830. 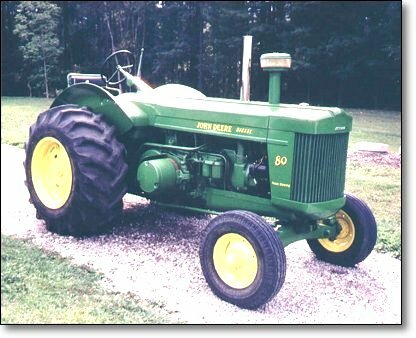 The 80 is a BIG diesel tractor, only available in the "standard" front wheel configuration. Find out what "Standard" means, HERE.